While every buyer is looking for something different in a home, there are a few key things that are universal turnoffs. If you’re selling your home, you’ll disregard these issues at your own peril. Even in a competitive market, here are the things that potential buyers will have a hard time ignoring. Is there a mysterious odor coming from somewhere in your home? You better find it, and fast. Buyers are often turned off by bad smells, including cigarette smoke, pet odors, mildew, or garbage. Identify the offending fragrance, and take steps to eliminate it. Sure, you know your 100-pound dog is just being friendly. But to someone unfamiliar with your best friend, it can look like aggression. The same goes for territorial cats and loud birds. In fact, it’s highly unlikely that your pet won’t interfere in your home showing in some way, even if they are relaxed and sweet. When potential buyers are coming to your house, make arrangements to have your pets off the property. Even if a potential buyer is an avid insect collector, he still won’t want to see pests inside your home. If you see any evidence of an infestation, hire an exterminator and take care of the problem before you begin showing your home. It doesn’t matter how much a buyer loves your home – if it’s priced too high, it’s going to be a big turnoff. Remember, if the house doesn’t appraise for the selling price, the buyer may have trouble with their financing. 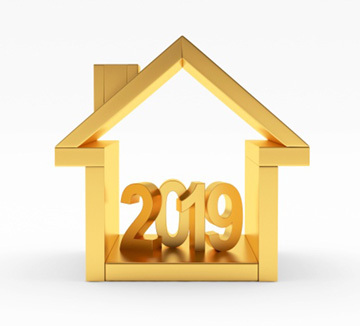 Work with a professional real estate agent who will use their expert knowledge of your local market to help you determine the best listing price. You know the feeling you get when everything around you feels dirty? Imagine a potential buyer having that feeling when they walk into your bathroom. 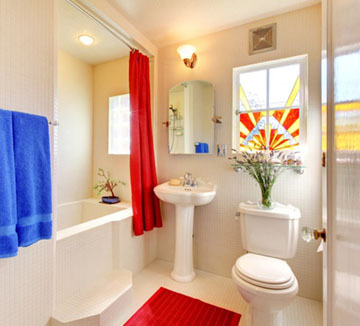 Dirty bathrooms are one of the biggest turnoffs to buyers. Make sure you scrub your bathroom until it shines, remove all clutter, and invest in some brand new towels. Have you ever noticed that many home listings describe a home as being bright or filled with natural light? That’s because most buyers want to live in homes that feel open and airy. When potential buyers are visiting your home, make sure all the lights are on. Open curtains to let in as much natural light as possible. If any rooms are painted dark colors, repaint them in a lighter shade. If tree limbs are blocking sunlight from outside, trim the branches until more light shines through. First impressions are so important, and most buyers will make a snap judgment about your home in just a few seconds. For this reason, it is essential that you give some love to the outside of your home. Clean up the yard, mow the lawn, and spruce up your curb appeal. Make sure sidewalks, driveways, and decks are clean. Prune trees and shrubs and if needed power wash the exterior of the house. While it may seem like too much work, you’ll be glad you did it.